When we relish a delicious organic apple or pear, we usually don't suspect we are also ingesting a mouthful of antibiotics. As shocking as this may seem, it's yet another dirty little secret of the certified organic industry in the U.S. Used to control a tree born bacterial infection, antibiotics are sprayed on susceptible varieties of trees—leaving residues on fruit to be consumed far and wide. And inflaming concern over antibiotic overuse in the process. Generally, antibiotics are shunned by organic aficionados and natural health advocates alike. The dangers of antibiotic resistant superbugs and devastation of beneficial bacteria in the body are enough reason to seek alternatives. But consumers who eat organic apples or pears may be inadvertently ingesting tetracycline and streptomycin—two antibiotics used to combat common infections of the lung, middle ear and urinary tract as well as more life threatening diseases like tuberculosis, plague and cholera. Unfortunately, when antibiotics are overused they eventually become ineffective, leaving us high and dry for when the medicine is truly needed. Antibiotics also ravage the intestinal tract, destroying the good bacteria that help to keep us disease free. All in all, consuming antibiotics haphazardly in food is not ideal. As reported by the Organic Consumers Association, apples and pears produced organically can be sprayed with antibiotics to minimize crop loss associated with fire blight—a bacterium that kills the shoots of apple, pear and select ornamental trees. Concerned about the overuse of these sprays , the National Organic Standards Board (NOSB) informed growers the practice would be forbidden after 2014. Due to pressure from the organic apple and pear industry, the date might be pushed back to 2016. And this isn't the first time the prohibition has been delayed. Originally, tetracycline was set to be banned from organic production in 2012, but in response to a survey of organic apple and pear producers in Washington state, the date was postponed. 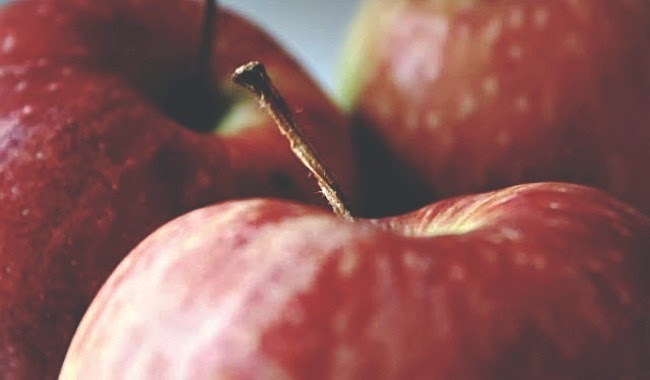 Evidently, 80 percent of growers said "...if they could not use tetracycline to control fire blight, they would be forced to reduce their acreage or exit the organic apple and pear production industry," according to Sustainable Food News. However, the real question is whether or not antibiotics are absolutely necessary to control the disease. Experts say no. Ken Johnson, an authority of botany and plant pathology at Oregon State University, has extensively researched alternatives to antibiotics in controlling fire blight. After testing and study, a protocol of copper spray, lime sulfur and fish oil (when sprayed at key growth periods) is just as effective as antibiotics in controlling the bacteria. Home gardeners have found white vinegar spray useful against the blight as well. As consumers, we can protect ourselves by always choosing breeds that are naturally resistant to fire blight. The Orient, Summercrisp and Kieffer pear varieties are most impervious. Steer clear of Bartlett. The safest apples include: Jonafree, Melrose, Northwestern Greening, Nova EasyGro, Prima, Priscilla, Quinte, RedFree, Sir Prize and Winesap. It is best to avoid: Beacon, Braeburn, Cortland, Fuji, Gala, Gingergold, Golden Delicious, Granny Smith, Honeygold, Idared, Jonathan, Lodi, Monroe, Mutsu (Crispin), Paulared, Pink Lady, Rome Beauty, Wayne, Wealthy, Yellow Transparent and Zesta. An organic apple a day keeps the doctor away remains good advice. Yet, until antibiotic sprays cease to be used, make sure to choose wisely.